SCB Legal cares about people and is dedicated to providing FREE legal advice to best cater to people’s needs. It is part of the company’s values and philosophy to assist ALL people, irrespective of their financial standing. Each person deserves the best legal advocate and this is what SCB Legal passionately upholds. The company’s founder, Sionea Breust doesn’t merely talk about her desire to help those facing urgent legal matters but she actually does. Years of work at Legal Aid provided the insight into the many societal problems facing people. It was through these experiences that she was determined and insistent on making a valuable contribution. Even today, past clients know they can count on her generosity of spirit and excellent legal advice. Ms Breust’s leadership is inspiring and it is this single-minded commitment to assisting those in need that separates SCB Legal from the plethora of other Sydney law firms. A proudly and wholly owned Aboriginal Australian law firm is yet another distinguishing fact. Much genuine love and care is spent addressing the needs of the Australian Aboriginal community. This philanthropic work is what is making a difference in many people’s lives. This is possibly the first law firm in Australia that is 100% Aboriginal owned and even has a specific section of the website devoted to solely Aboriginal legal needs. Would You Like To Learn More About Our Aboriginal Legal Services? Contact us now, so we can begin assisting you with your legal matter. We fully understand that when faced with an urgent matter, you need legal guidance from a lawyer who is caring, patient, attentive and genuinely sympathises with your given predicament. We will analyse the facts and advise you regarding taking a specific course of action based upon the law that applies. At a certain juncture in your life you might feel as though you desperately need legal counsel, yet you cannot afford to hire a solicitor. It’s at times like these, that a person’s ability to access and consult a qualified legal expert is paramount. SCB Legal will provide you with the best legal advice from a qualified legal professional, so that you understand your legal rights and are made aware of the legal remedies available to you. 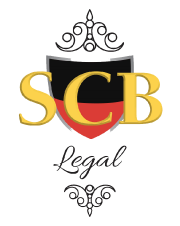 From personal injury, civil and criminal law to all family law matters, such as child custody and child protection to legal disputes and debt recovery, SCB Legal will always provide you with a FREE consultation. Having happy clients is the successful outcome. Would You Like FREE Legal Advice Over The Phone? Do you have a legal question you need answered? Call SCB Legal to schedule your phone consultation today.